The declines in same-store sales we saw in 2016 are in the past, but the declining traffic is not. You have to go back to 2015 to see growth in customer traffic. Since February 2016, same-store traffic has been negative every month. The worst traffic trends over that time were in the first quarter, 2018. But, that trend has changed lately. 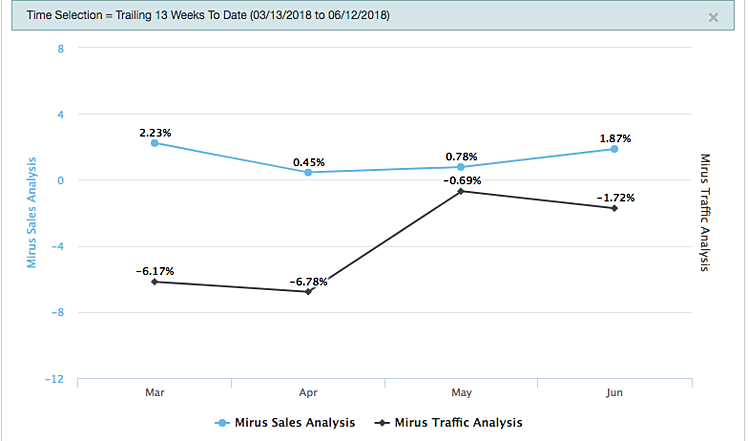 Since mid-May, the Mirus Index has recorded more positive traffic days than negative (13 vs 12), an encouraging sign for summer. So we are left to wonder what has changed? Prices continue to rise in restaurants, but we are also seeing an increase in discounting so maybe that is a trigger for customers. Or, maybe it's the tax cuts. Or, is this the delivery effect? The federal government this morning reported strong restaurant sales growth in May and revised the numbers for March and April upward as well. 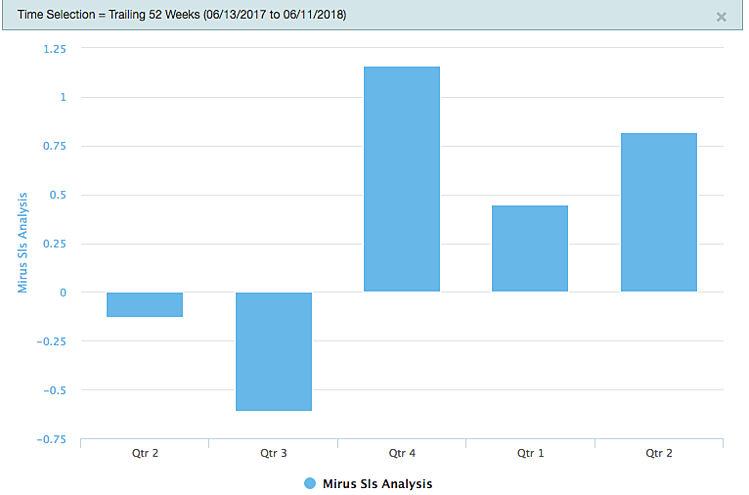 We will need more data to be certain, but if May was the transition month for restaurant customer traffic, people will be studying the cause of the change for years to come. Are you seeing the same trends with your data?